PSU.GD equips students to conquer creative challenges with a breadth of technical and artistic skills. Our program prepares students to be exploratory, experimental, collaborative graphic designers who can thrive in today’s world. The faculty in the design program at Portland State University are active makers as well as educators. 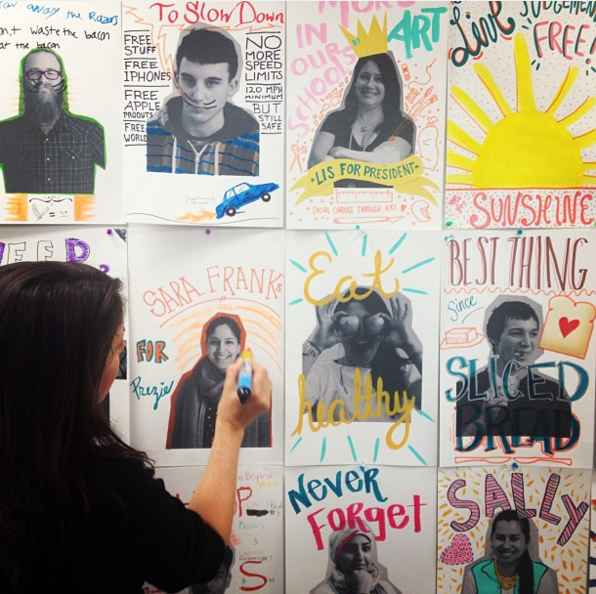 Through their efforts and connections, Portland State’s graphic design students become part of the larger design community. We were recently named the #1 public graphic design school on the west coast (#6 public in the country). CONFIDENCE We empower students to trust their creative impulses, embrace their interests, and direct their own learning experiences. Individualization of projects and self-authorship are encouraged and in turn create powerful creative workers who trust their choices. EXPERIMENTATION We push our students to try it all. Get weird. Our students are encouraged to engage in a process-driven practice so as to arrive at the optimal—and often most surprising—design solution. MAKE REAL WORK We offer students myriad opportunities to make work for the real world. Many of our classes pair students with clients—small businesses, non-profits, cultural institutions—to give students the experience of solving design challenges that will have real, tangible impact. CONNECTIVITY We work to connect our students to the design community within Portland, and beyond. Through PSU.GD’s facilitation of visiting designer lectures, field trips, in-class demos, portfolio days, and internship opportunities, our students become integrated members of a global community of makers. VARIETY Our students are equipped with an expansive array of skills and an understanding of the many ways design can function in the world. Our program’s core is founded on a breath of practices: branding and identity, illustration, publication design, web and mobile experience design, environmental design, design thinking strategies, social practice applications, self-promotion and collaborative group work. Above: We go on LOTS of trips! 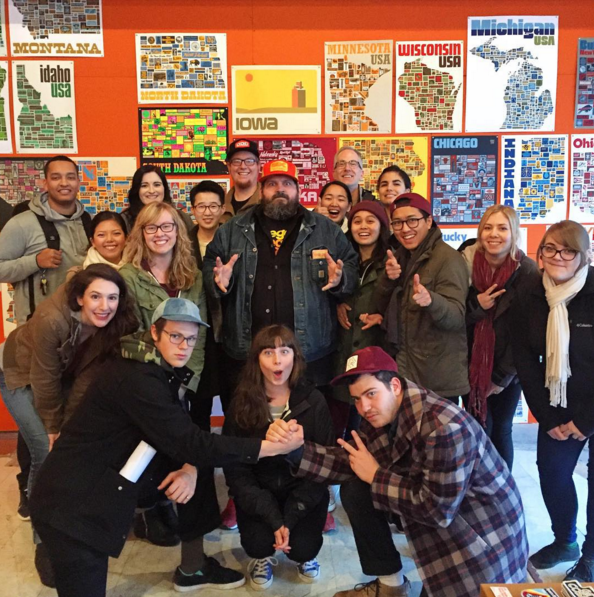 We are curious about everything and explore design culture in London, England (see our awesome summer program Similarly Different) to places right in our own backyard (like seeing our friend Aaron Draplin above). Come join us! The graphic design program at PSU draws its strength from its location within an expanded School of Art + Design and a large research university. PSU.GD’s curriculum is informed by proximity to programs such as MFAs in Studio and Social Practice and BA/BFA in Fine Arts and Architecture. Students have the opportunity to collaborate across programs and take advantage of facilities and lecture series outside of the PSU.GD offerings. 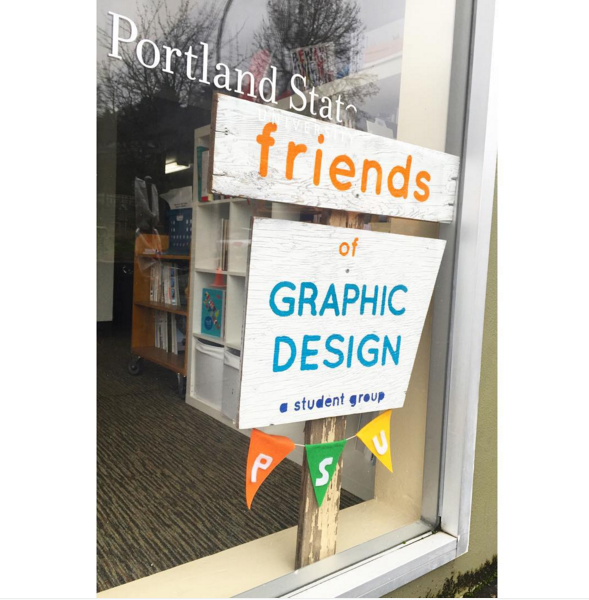 Above: We have a super active student group called Friends of Graphic Design that is open to anyone who is interested in Graphic Design at PSU. Come attend (or organize) a workshop, lecture, discussion group, field trip or one of our events! You can find us here, here and here but we would also like to meet you in real life! Above: Workshop from our Friendtorship high school mentorship program. Learn more about Friendtorship! You can’t learn about design from a book. 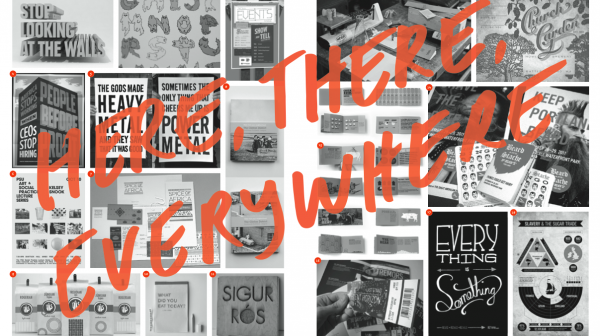 You can learn about design from a thriving creative community. You can learn about design from an internship, a really challenging assignment, great article you heard about on Twitter, and a field trip to an interactive design studio. You can learn about design from your peers, your teachers, and their designer friends that stop into class now and then to talk about their work. You can learn about design from watching Superbowl commercials, from shopping at the flea market, and from going to the zine fest. You can learn about design by drawing on napkins at the bar, hanging an art show, and helping your dad build a chair from scrap wood. You can also learn about design from books. Remember earlier when we said you couldn’t? We were just kidding. We love design books. Our alumni are working all over the place in small agencies and in really big ones. The are starting their own businesses and making their own products. They are researching and writing. They are working in teams and working solo. They are active participants in design and culture. Come and join us! Fresh Is the senior portfolio night that happens every term and o ers students a chance to show their work, and perhaps get an internship or job. A+D Projects is the in-house design studio for the School of Art+Design at Port- land State University. With the faculty and organizations of the School as our clients, we emulate a design agency for students and the relationships between clients and designers. It’s a class that can be taken multiple times if you have passed the review. We also produce the quarterly zine Annex and host Good Market. Similarly Different is a 3-week long, trip to London, England, with a focus on design. Time is spent doing workshops at London College of Communication, as well as visiting musuems, and a variety of design studios. Be Honest is the annual celebration and sharing of PSUGD student work hosted by FoGD. As students of PSU, we’re lucky to live and learn in a city that supports and encourages our craft. Be Honest is a night in which we invite the Portland design community to check out what we are thinking and making, and to thank them with food, drink and lively conversation. If you live in Portland or are coming to visit and are interested in the program please let us know! Contact the art office at 503.325.3515 to schedule an appointment with one of our Graphic Design Professors. Also, every Thursday at noon we have our Show & Tell Lecture Series which is free and open to the public. We can’t wait to meet you. Want to know more about the program? Download our student designed newspaper: Being Graphic! 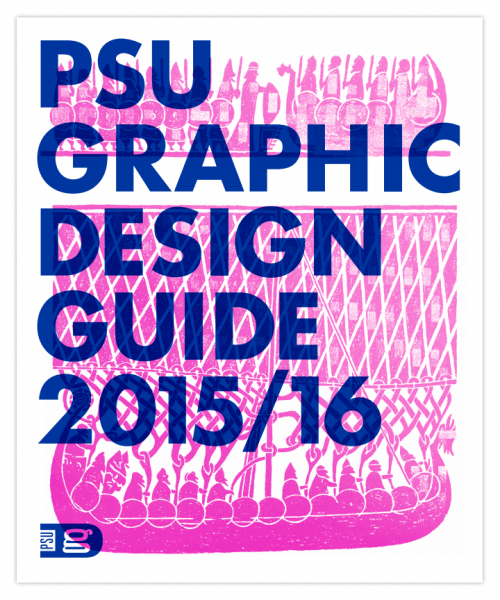 You can also check out our PSU Graphic Design Guide with tips on how to get started engaging in the design world of PSU, Portland, and beyond!